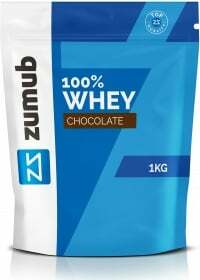 As a result of several years of experience in the field of dietary supplements, and with the collaboration of nutritionists, suppliers and supplementation experts, the Zumub supplements brand appeared. A brand that offers you what you're looking for: premium quality at low prices. Our 100% Whey combines the best ingredients: Whey Concentrate and Whey Isolate, with the best flavor on the market. • Helps to gain muscle mass. • Helps in muscle recovery and repair. • Helps to maintain lean muscle mass during the weight loss process. As a result of the use of excellent ingredients, this product offers a certified quality. In addition, this formula, as it’s low in sugars and fats, is able to guarantee quality with high purity and high amounts of proteins. Because it’s produced in Europe, it’s not necessary to pay import taxes and customs fees, unlike what happens with American products. In addition, the quality of this product speaks for itself, so we don’t spend on marketing to sell a product that is, by itself, of excellence. 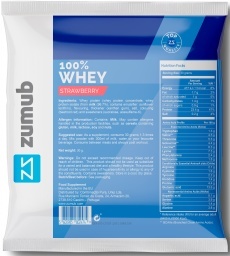 Zumub 100% Whey mixes and dissolves easily, whether in a shaker or with a tablespoon. Its taste is ... irresistibly good! We at Zumub are surrendered, but we’re not the only ones. Our customers are also fans. Try it now! WARNINGS 100% Whey : Do not exceed recommended dosage. Keep Out Of Reach Of Children and Pets. The product should not be used in case of hypersensitivity or allergy to any of the ingredients of the formulation. Food supplements should not be used as a substitute for a varied and balanced diet and healthy lifestyle. Store in a cool, dry place. Please Recycle. BEST BEFORE: Please see lot number and expiration date stamped on the packaging.